No "wandering" of cutting wire into an unintended direction. 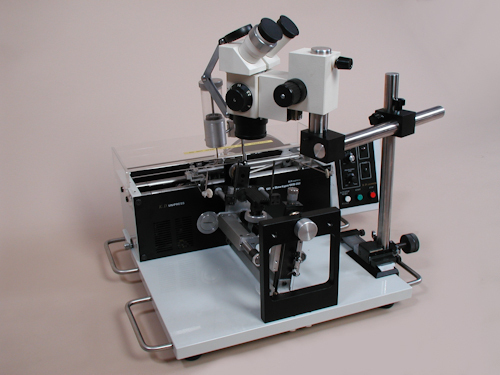 A variety of Precision wire saws are available that can cut samples to down to a thickness of 10μm, with smooth cut surfaces where the roughness does not exceed 1µm. With a goniometer mounted to the saw, very precise orientations of crystal surfaces are possible before the cutting process begins. 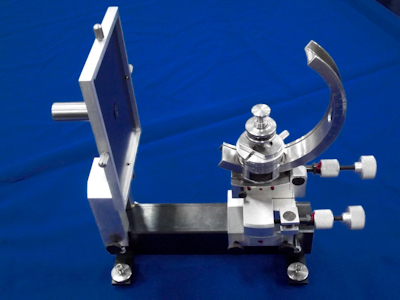 The WS-22 precision wire saw for cutting small samples. Maximal sample dimensions: 40x40mm. The saw can be used for precision cutting of semiconductors, ferrites, metals, glasses, minerals as well as many other hard or brittle solids. 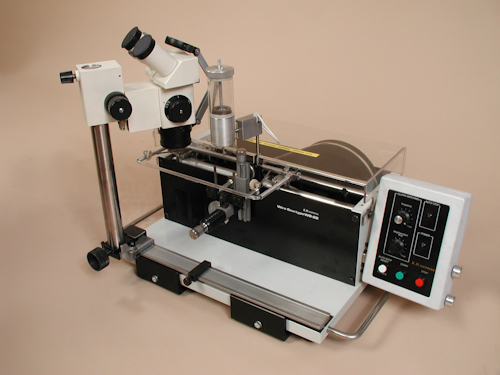 The WS-22B precision wire saw is ideal for cutting small and medium size samples. Maximal sample dimensions: 80x80x150mm. The saw can be used for precision cutting of semiconductors, ferrites, metals, glasses, minerals as well as many other hard or brittle solids. The WS-25 precision wire saw is our first saw that can cut using free abrasive method or cutting with diamond dotted wire. Saw is equipped with electronically controlled support which allows cutting in straight line without the use of wire posts. 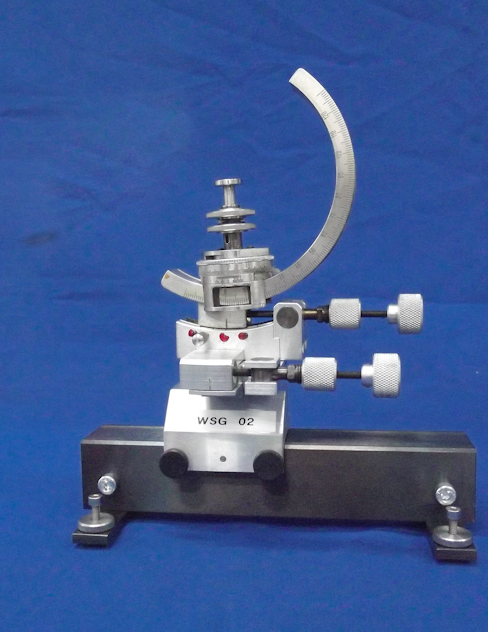 Field of application is the same as for WS-22 and WS-22B saw. The MS-80 Multi Band Saw is a precision device for cutting or slicing hard and brittle materials. 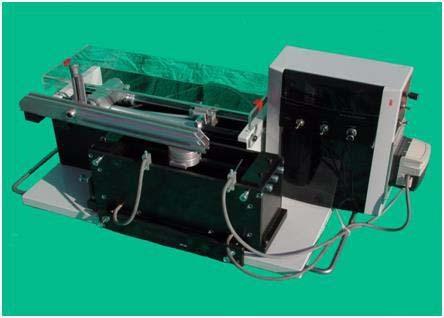 Saw enables cutting of very thin slices (thickness of 50um) with smooth cut surfaces. Extend the capabilities of our WS-22/WS-22B wire saws with accessories to aid in the precise cutting of crystallographically oriented crystals. 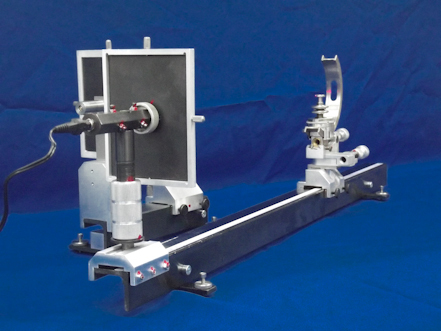 Our goniometers are designed for orientation of specimen when cutting along desired directions using either X-ray or optical orientation techniques. 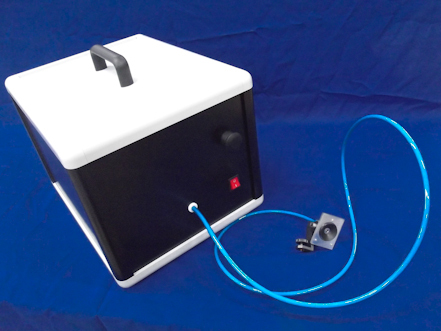 Laue cameras are designed for the orientation of single crystal samples using back reflection known as the Laue method. They are used for cutting along strictly determined crystallographic planes. Optical orientation devices are used to determine the orientation of crystals or to align crystals so that specifically oriented surface can be cut. 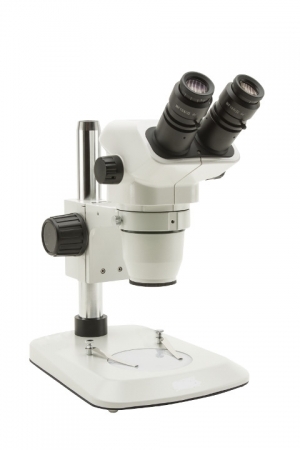 Our stereomicroscopes are used for stereoscopic observation of samples with the use of changeable magnification. Stereomicroscopes are mounted on to wire saws frame. 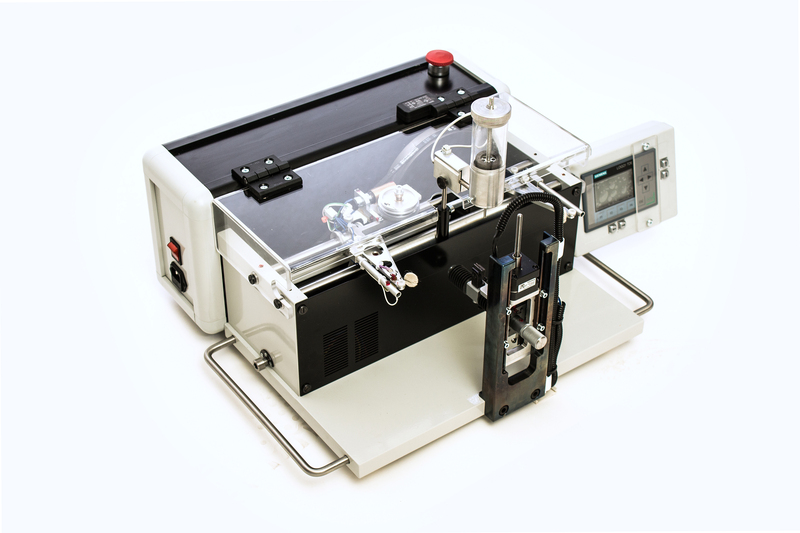 Vacuum Sample Holder is designed to use a vacuum to hold a glass plate, on to which samples are fixed with wax.